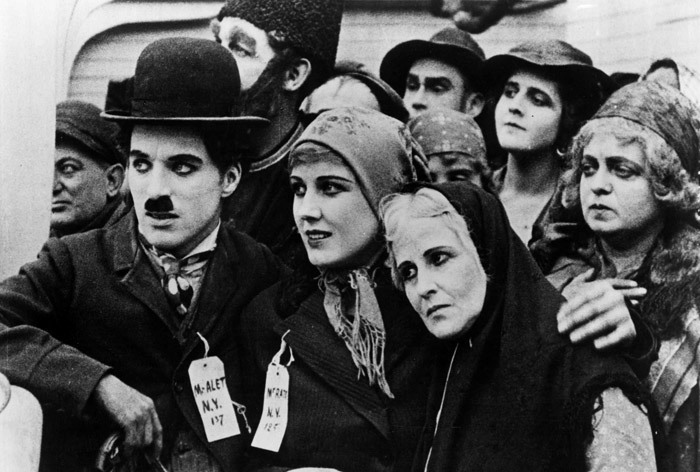 Chaplin’s silent The Immigrant (1917) was one of the earliest films to reference the idea of the USA as the land of opportunity and the object of many people’s dreams. He foreshadowed his later social commentary in this comedic depiction of the difficulties of migrating to a new land without any money in your pocket and the struggle to retain dignity in an unwelcoming place. Immigration was a major issue in the USA at this time and an act was passed in 1921 to severely curtail immigration of the poor from southern and eastern Europe. These themes are not new and have been reflected in cinema from across the world ever since the moving camera was invented. As a nation founded by immigrants, it is hardly surprising the subject of migration crops up so often in American cinema, often being employed to set up a ‘culture clash’ storyline. Several films depict families making the move from Ireland, such as Jim Sheridan’s In America (2002) which portrays a family who move to a troubled part of New York in order to move on from the death of one of their children, and befriend a neighbouring African immigrant. The focus here is on the people not the situation. The most celebrated film of an immigrant arriving in the USA is of course The Godfather Part II (1974) with Vito Corleone, a Sicilian immigrant, arriving on the boat in order to escape the threat to his life back home and struggling to make a new start. The most frequently depicted type of immigration to the USA though is that from across the Mexican border. The Adam Sandler comedy Spanglish (2004) uses this as a set-up for a romantic story in which a Mexican woman crosses the border illegally with her young daughter to start a new life and goes six years without learning any English, before taking a job as housekeeper with a well-to-do white family. However, throughout its running length, the film does not once make any reference to her residency status and any issues that may arise therein, which seems optimistic at best! A somewhat more realistic film is Alambrista! (The Illegal) (1977), the story of a Mexican man who crosses into the States seeking work to support his family back home. He lives in constant fear of immigration raids and discovers that the American Dream is unattainable for some. Whilst still containing elements of the ‘clash of cultures’ storyline, the emphasis is on his status as an exploited outsider. Director Robert M. Young spent a year living with illegal immigrants as research, something you can’t imagine the director of Spanglish took the trouble to do. 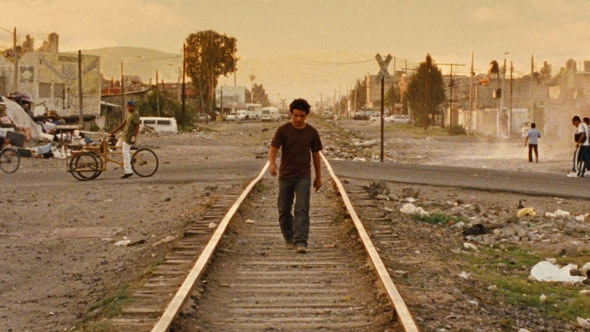 Another hard-hitting film, Sin Nombre (2009) takes a similar approach to the story of a Honduran teenager with dreams of a brighter future, travelling on freight cars towards the States with her family. The journey and all its accompanying perils are the focus of this film, showing the hardships people endure in order to reach the North. Again the director took the trip himself on the roof of a freight train in preparation. “Farming in Imperial Valley… [requires] a vast army of farm workers… and this army of workers comes from our neighbour to the south, from Mexico. … It is this problem of human suffering and injustice about which you should know. The following composite case is based upon factual information supplied by the Immigration and Naturalization Service…”. This is the opening voice-over from Border Incident (1949), a luridly exciting but rather patriotic tale of two agents attempting to stop the smuggling of migrant workers across the border by ruthless bandits who might just as easily rob and kill them. Our own Ken Loach was lured across the Atlantic by the story of the Janitors For Justice, which inspired him to make one of his most powerful films, Bread And Roses (2000). The story of a union organizer doing his best to help illegal immigrants working as office cleaners in LA doesn’t offer any easy solutions. There is no sentimentality here and the film concludes with a devastating speech from one character on the awful practical choices she has been forced to make to feed her family. This ‘invisible’ class of people feature also in A Day Without A Mexican (2004), a satirical illustration of how California would cope if all the immigrants disappeared overnight and how desperate the middle class would be to have them back. Many of these films fit into the ‘road movie’ genre. El Norte (1983) was the first American independent film to be nominated for an Oscar and is a portrayal of two Indian peasants fleeing from Guatemala after their parents are murdered by the army. They leave in search of a safer future in the USA but the horror of their experience getting across the border is shown in unflinching detail and when they finally reach their destination they discover they still don’t fit in – life remains very hard for those without official documentation. Despite its grim subject matter the film is full of magical realism and the colour of Mexican villages. The producers chose to make the film with Mexican and Guatemalan actors, foregrounding the central characters and making Americans peripheral to the action, mirroring the experience of the two Indians. The Golden Dream (2013) is a harrowing tale of three teenagers from Guatemala making the long journey to the land of (perhaps mythical) opportunity along railroad tracks and encountering terrible danger along the way. Many of the most horrific events take place off screen, highlighting how much we turn a blind eye to, when these atrocities are happening daily. The characters display values of loyalty, love, honour and sacrifice to emphasise that these are people just like us and that what happens to them could just as easily happen to anyone in that situation. A somewhat different situation is shown in Amreeka (2009), in which a Palestinian mother and son move to the States for the benefit of his education. They find difficulty being accepted or understood and struggle to overcome poverty and prejudice in the wake of September 11th. This story is told with a lot of humour amidst the serious message about the clash of cultures. The Visitor (2007) tells the story of an encounter between a lonely New York professor and two unexpected houseguests from Syria & Senegal that he comes home to find in his apartment. The friendship that develops between them leads Walter to commit himself to fight against Tarek’s deportation in this look at immigration post Sept 11. Michael Winterbottom’s grim docudrama In This World (2002) follows two young Afghan refugees from their camp in Pakistan on their dangerous and highly risky journey towards London. Using the underground network of human smugglers they follow the path of millions of others who risk life and limb for a chance of a better tomorrow. The actors are mostly playing fictionalised versions of themselves and the viewer is made to feel just as if they were travelling along with them. Shot in documentary style, with the crew and actors travelling together on a dangerously authentic route through the region, the film gets into the truth of the refugee experience like few other films. It is just like the The Golden Dream, just set in a different continent. Last Resort (2000) paints a bleak picture of the end-point for many of those who make the journey successfully. While their claim is being considered, a young Russian woman and her son are confined for months to a refugee centre in a joyless grey seaside town with fences, vigilant policemen, huge dogs, food vouchers and surveillance cameras. The film allows us to see life from an asylum seeker’s point of view. Another very dark film is Dirty Pretty Things (2002), an illuminating film about the exploitation of illegal immigrants working in a London hotel. It depicts vividly the dark underbelly of such industries and what the people who go unnoticed by us all have to do to survive. Nick Broomfield’s Ghosts (2006) recreates the tragic deaths of 23 illegal and exploited Chinese cockle pickers who were drowned in Morecambe Bay. The British do not come out well from this as we are shown to be hostile and indifferent to the safety of people working in the food industry just as long as we get our cheap supermarket food. 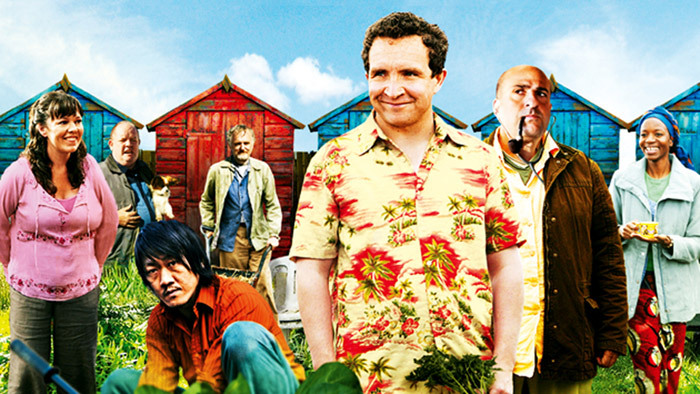 Even closer to home, Grow Your Own (2007) was filmed in Liverpool and based on a real-life allotment where a number of plots were given to a group of traumatised refugees. This microcosm of attitudes towards immigrants and the difficulty they have being accepted gets its message across with a great deal of humour. The film displays a real optimism regarding community spirit in illustrating how people can be brought together by the things they have in common, in this case their love of making things grow. A much earlier film Flame In The Streets (1961) dealt with racial tensions in London in the post-Windrush period when society was adjusting to the arrival of many West Indians. 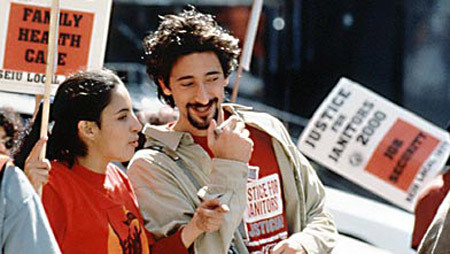 More recently, another Ken Loach film It’s A Free World (2007) looked at the recruitment and exploitation of European undocumented workers. 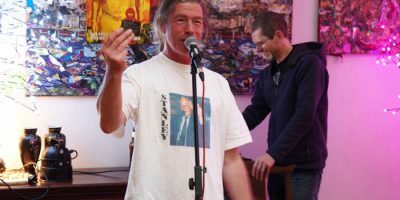 Given forged papers by their employers, Polish workers manage to land jobs in Britain in construction, factory work, or farm labour at minimum wage without any trace of benefits or job security. On the other side of the Channel, the situation is even worse. In the ironically-titled Welcome (2009) a Kurdish boy from Iraq begins swimming lessons in an attempt to cross the Channel to join his sweetheart and seek asylum. His instructor takes him in in the knowledge that he faces arrest for offering shelter to an illegal. The community of struggling aliens in Calais is captured with authenticity, from the point of view of people who arrive there knowing nothing about France. A similar but more heartwarming story is told in Aki Kaurismaki’s Le Havre (2011), a drama about a bohemian shoeshiner who takes in a young African refugee and helps the boy evade immigration officials, with the assistance of much of the community, so that he can continue on his journey to join relatives in England. In Terraferma (2011), the quiet traditional life of a small Sicilian island (read Lampedusa) is challenged when a boatload of illegal immigrants arrives, forcing the inhabitants to choose between the ‘law of the sea’ and the prospect of being punished for saving them from drowning. This battle between the local carabinieri and the fishermen who represent an older, more humane ethos impacts on all members of the struggling family at the centre of the film. A much less welcoming community is shown in Fassbinder’s Fear Eats The Soul (1974) when a romantic relationship develops between a German woman and a much younger Moroccan immigrant. She is shunned by her disapproving family and co-workers while he faces discrimination due to the prevailing prejudice against foreign workers. In an attempt to hang onto her friends, Emmi gradually begins to adopt some of their xenophobic attitudes towards Ali and demand he fit in. Fassbinder draws our attention to the pains of persecution and the difficulty of finding happiness in a foreign land. Ousmane Sembene’s Black Girl (1966), widely considered a pioneering work in African cinema, depicts the journey of a Senegalese woman who becomes nanny to the children of a wealthy white couple and moves with them to the South of France. Once there her hopes for an exciting new life are dashed as they force her to work as a servant and keep her from leaving the house. The film addresses the effects of racism and colonialism in Europe and is a vivid portrait of her inner turmoil and increasing isolation and despair as she yearns to return home. From another part of the world comes When I Saw You (2012) in which a traumatised Palestinian boy runs away from a refugee camp in Jordan to look for his missing father. Day-to-day life in the camps is progressively shown to be unbearable, and the boy is pushed into action when an old lady tells him she has been waiting 20 years to return home. Some of the all time cinema classics deal with these themes too. The Grapes Of Wrath (1940) depicts farmers during the Great Depression having to leave their home and become migrant workers in search of new opportunities for their family. The many filmic portrayals of the birth of Jesus, including Nicholas Ray’s King Of Kings (1961) and Pasolini’s The Gospel According To St. Matthew (1964), present Joseph and Mary being forced to flee to Egypt for asylum to prevent their child being killed. Casablanca (1942) is a portrait of those fleeing Nazi occupation, many of whom find themselves in Morocco waiting to get exit visas from the black marketeers to enable them to escape to the USA. Despite its mass popularity it is a surprisingly hard-hitting tale of colonialism, secret police, asylum seekers and people smugglers. Even sci-fi films have tackled the issue. In District 9 (2009) a spacecraft full of sick aliens arrive in Johannesburg and are quickly moved to a government camp. Its themes are xenophobia, social segregation and ethnic displacement and it is quite unambiguous in its grim depiction of a shanty town where thousands of these refugees are kept, brutalised by police and stereotyped as criminals and terrorists. Children Of Men (2006) paints a picture of the UK becoming a militarised state and imposing oppressive immigration laws in order to maintain control of all those seeking refuge from worldwide wars and collapsing states. Asylum seekers are hunted down and forced to live in vast offshore penal colonies. The Man Who Fell To Earth (1976) depicts David Bowie’s character being forced to leave his drought-ridden home planet in search of water to save his family, and facing imprisonment by the state as a result. There seems little prospect of the subject of migration ever drying up as a source of inspiration for films when it is such a major issue in the world today and taps into so many established film genres. Previous Post: What is a Refugee? Next Post: Nerve 27 – Why the Refugee Issue?